Vicky received her degree in Physical Therapy from the University of Pittsburgh in 1983. She began practicing at an acute care hospital in Philadelphia. 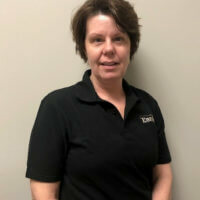 In 1987, Vicky returned to the Butler area where she continued acute care for several years as she developed a special interest in outpatient rehabilitation. In 2003, she joined Panther Physical Therapy as the clinic director of the Zelienople-Harmony office with her primary focus on orthopedic and sports rehabilitation.